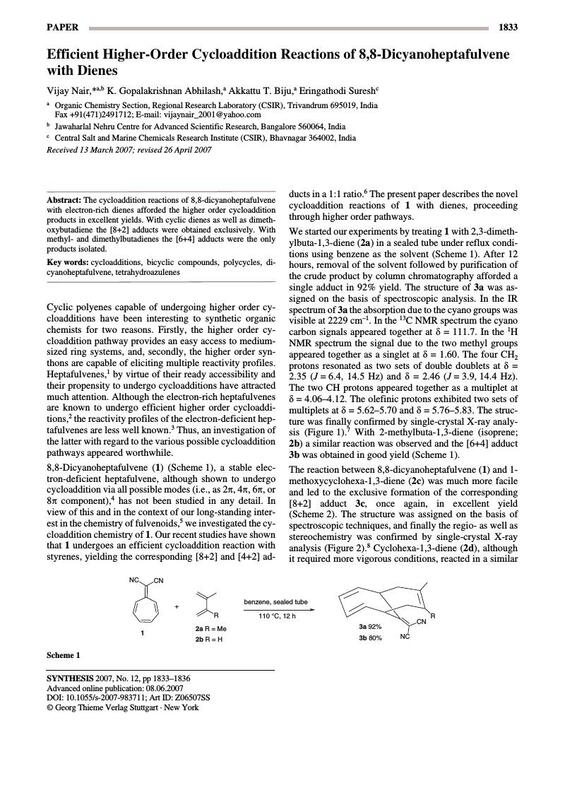 The cycloaddition reactions of 8,8-dicyanoheptafulvene with electron-rich dienes afforded the higher order cycloaddition products in excellent yields. With cyclic dienes as well as dimeth­oxybutadiene the [8+2] adducts were obtained exclusively. With methyl- and dimethylbutadienes the [6+4] adducts were the only products isolated.